Seriously, I cannot stress how awesome this packaging is. 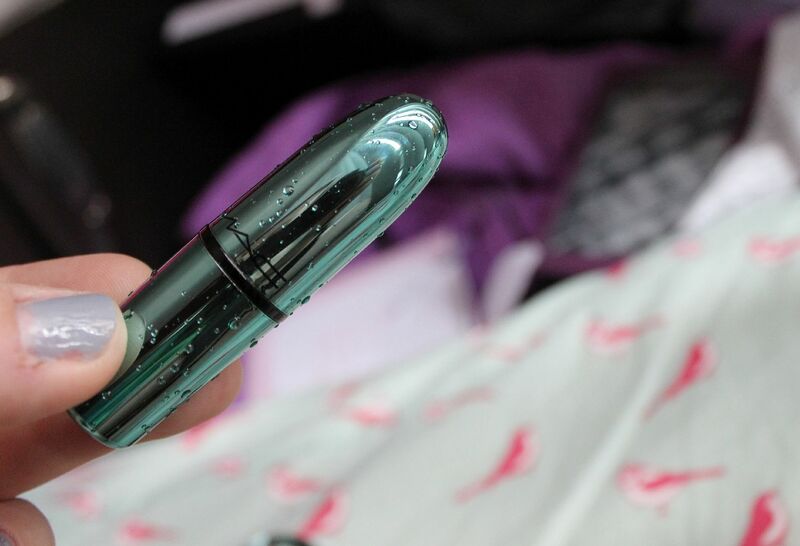 It’s metallic teal, and has actual raindrop bubbles on it. It’s so beautiful! 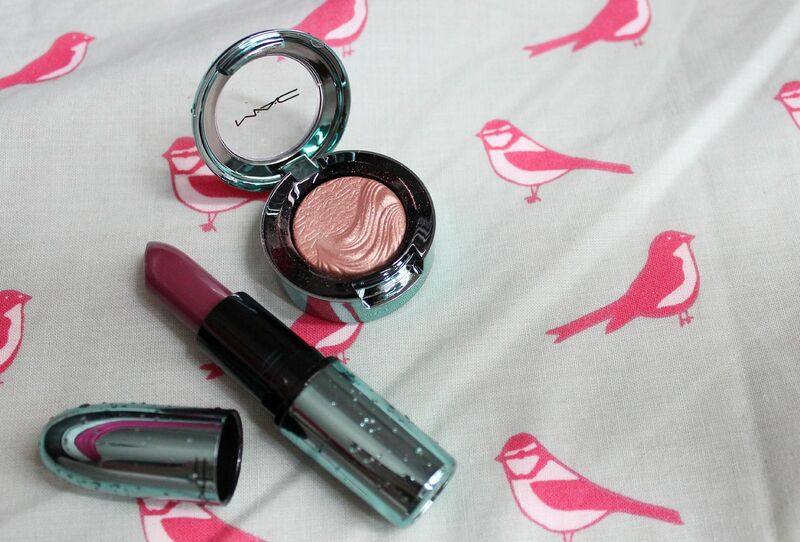 The collection itself seemed a little lacklustre, but 2 items stood out to me – the extra dimension eyeshadow in Lorelei and the cremesheen lipstick in Goddess of the Sea. Lorelei is a peachy champagne colour, that manages to brighten the eye area and look really flattering. 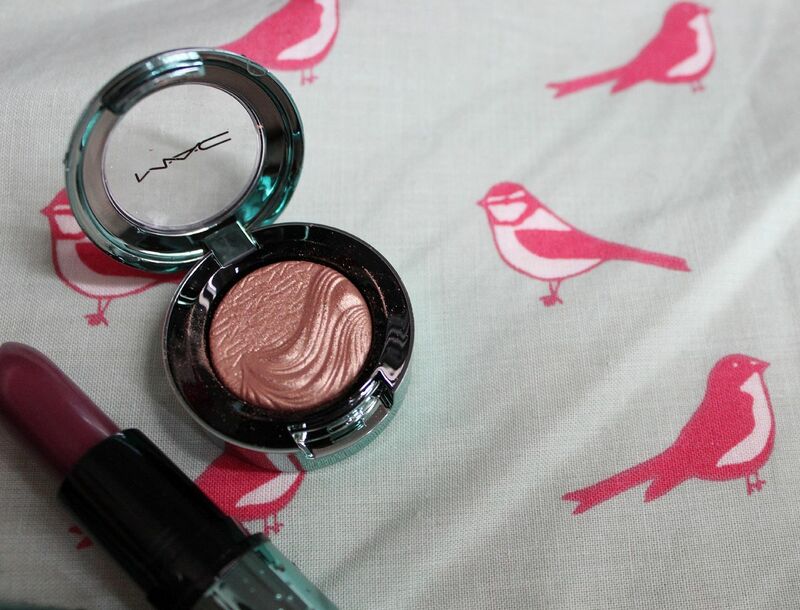 It is really similar to All that glitters, but a little less pink and the formula is so creamy and soft. If you like neutral shadows (who doesn’t), this is worth checking out. 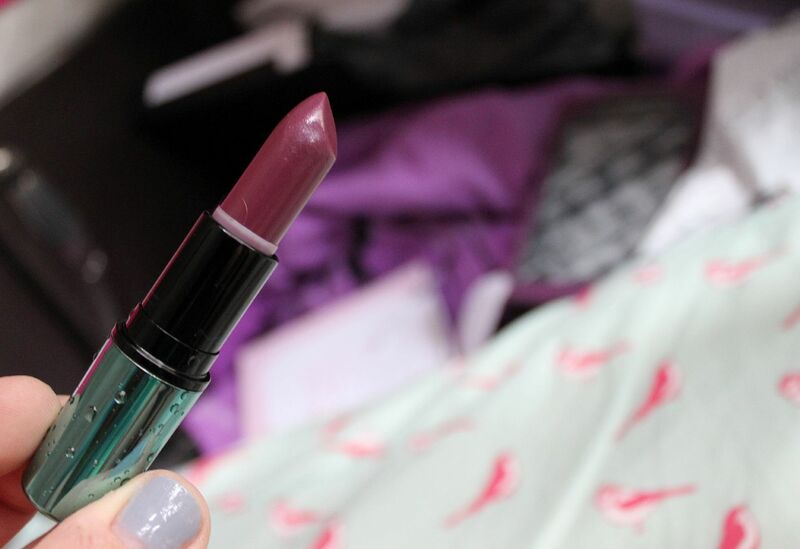 Goddess of the Sea is a plummy/purple/pinky shade, which is creamy and not too pigmented. It lasted around 3 hours on me, and faded evenly. Pretty. 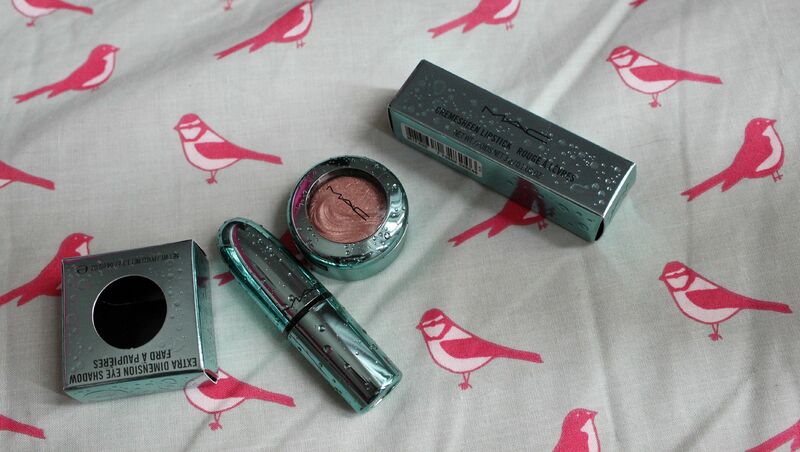 Nothing groundbreaking, but it’s pretty + the packaging. I can’t even. The collection launches on counters tomorrow, and should hit House of Fraser/Debenhams etc online tomorrow too! Do you have your eye on anything?